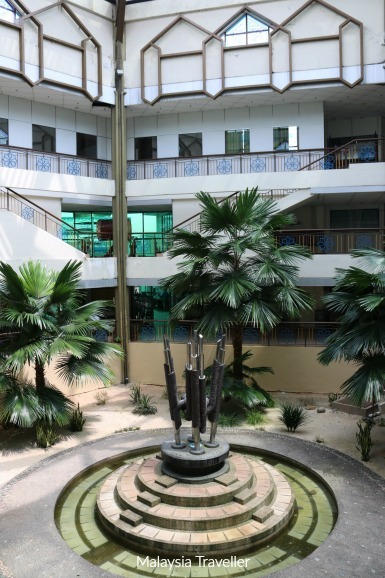 The Selangor Islamic Arts Garden Complex in Shah Alam was built in the 1990s to strengthen the field of Islamic arts. 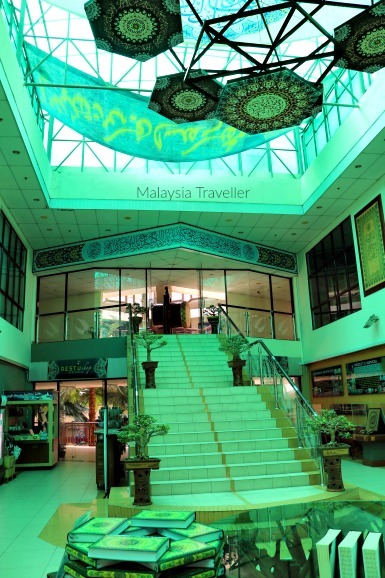 The complex comprises three permanent museum galleries which are open to the public as well as the premises of Restu International College, a private institution of higher learning whose programs include a Diploma in Islamic Fine Arts & Calligraphy. 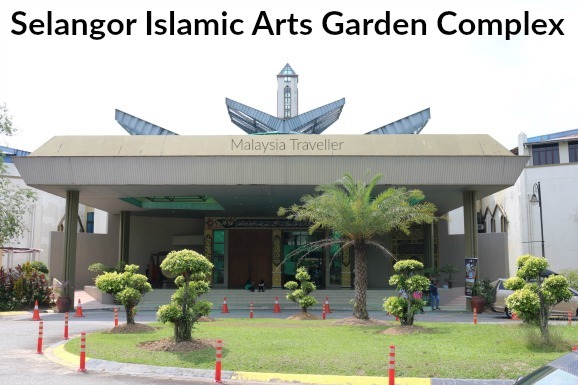 In Bahasa the Selangor Islamic Arts Garden Complex is Kompleks Taman Seni Islam Selangor which can also be translated as Selangor Islamic Arts Park Complex. 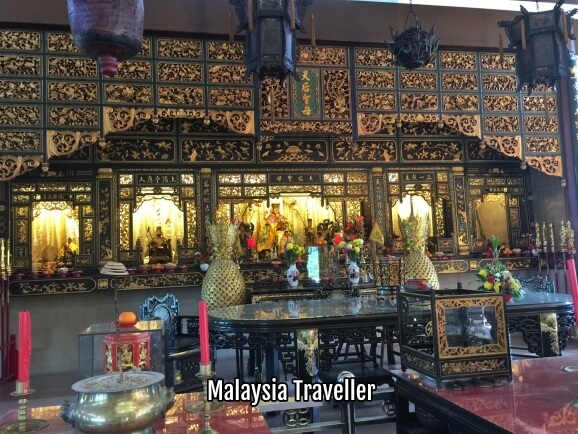 The complex is managed by Restu Foundation (Yayasan Restu), a non profit organisation established in 1988 which seeks to enhance the practice of Islam through Islamic Arts. 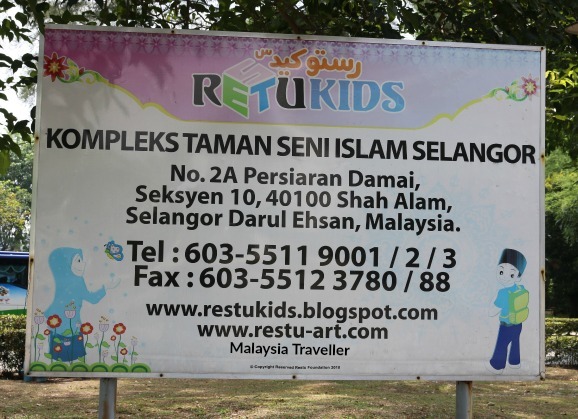 Restu was the first foundation in Malaysia to produce hand written and illuminated manuscripts of the Holy Quran. ‘Illuminated' in this context means the manuscripts are illustrated and painted in colour with Islamic motifs and geometric patterns. 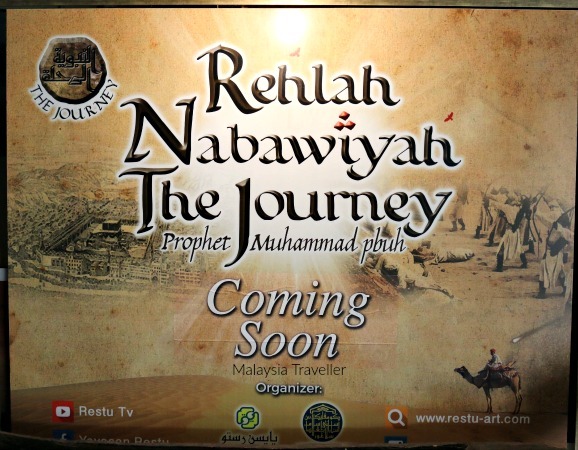 This gallery is currently closed for renovation but when it reopens later in 2017 it be an exhibition called Rehlah Nabawiyah or The Journey of Prophet Muhammad. This exhibition will use the latest techniques such as holograms, virtual technology and projection mapping to describe the events of the establishment of Islam. This gallery displays the Quran manuscripts and Islamic calligraphy exhibits. 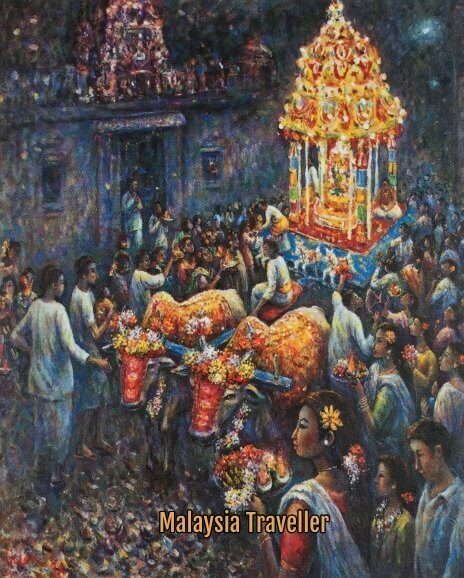 Some of these texts have been beautifully inscribed and decorated by Malaysian calligraphers and artists using traditional cultural designs and patterns found in mosques and palaces from around Malaysia and motifs found in everyday Malay culture. This gallery contains work of students of Restu College’s Islamic Arts program focusing on Islamic architecture, design, sculptures and paintings. 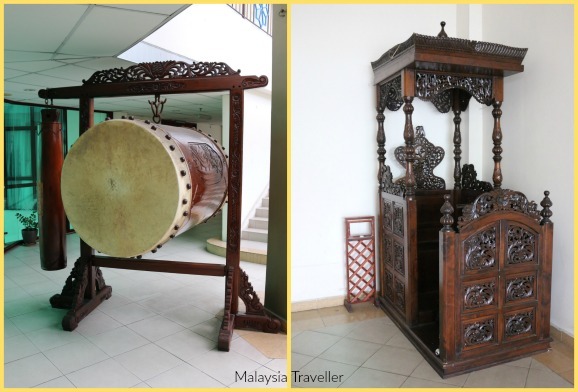 (L) Drums used by some mosques in Malaysia and Indonesia to summon the faithful to prayer. (R) Minbar. Photography is not allowed in the galleries so my photos are of the outdoor pieces only. Scale Model of The Residence of Prophet Muhammad. One of the highlights for Muslim visitors must be the replica of the residence of Prophet Muhammad based on the writings of his companions. 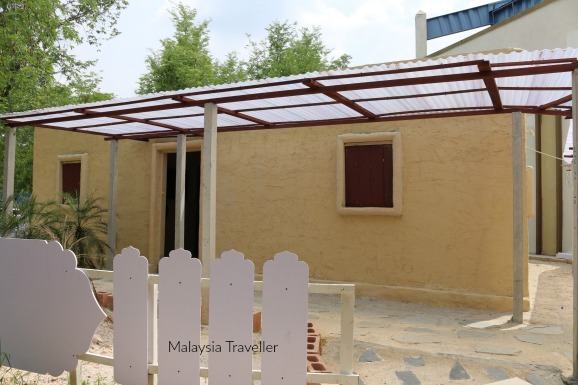 Inside this humble dwelling you can appreciate the simple and frugal lifestyle experienced by the Prophet. I had hoped to see more of a ‘garden’ in this complex, given its title. Plant life is confined to a few palms in the indoor atrium and some pot plants around the back of the complex. However there is Seksyen 10 Public Park just next door. The museum is open Tuesday - Sunday: 9.30 am - 5.30pm. 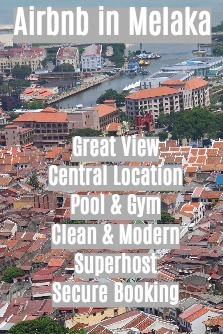 I have marked the exact location on the map on my Top Shah Alam Attractions page. There is a large free car park next to the Complex. 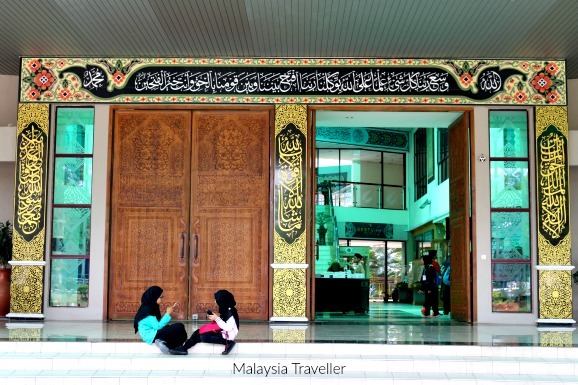 The complex is located directly opposite the Sultan Salahuddin Aziz Mosque. You can find details of this mosque and other nearby places on my Top Shah Alam Attractions page.